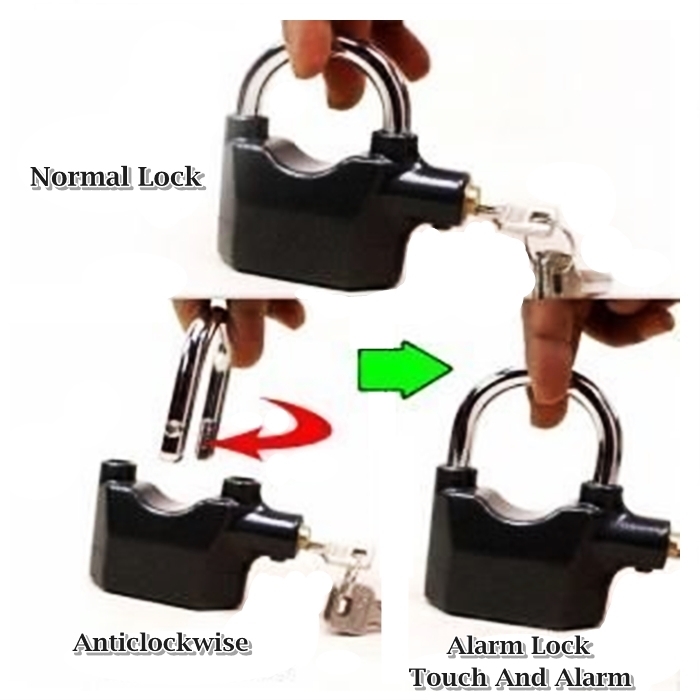 This alarm lock combines locking with alarming function. 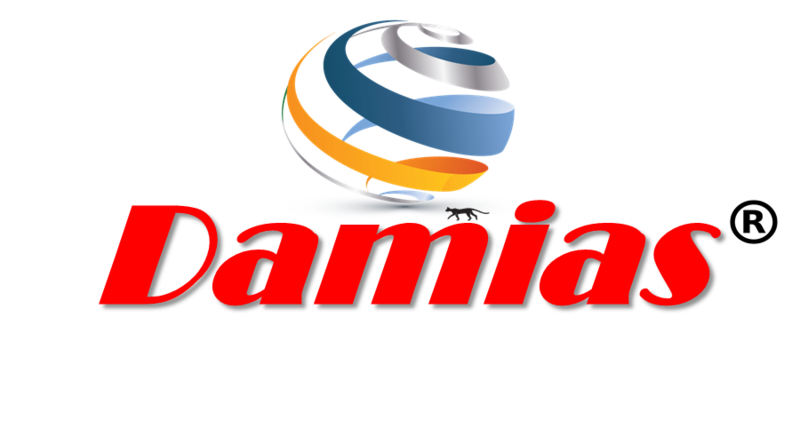 It is a good tool for you to protect your properties. 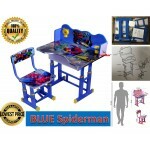 It has low false alarm rate and power consumption. 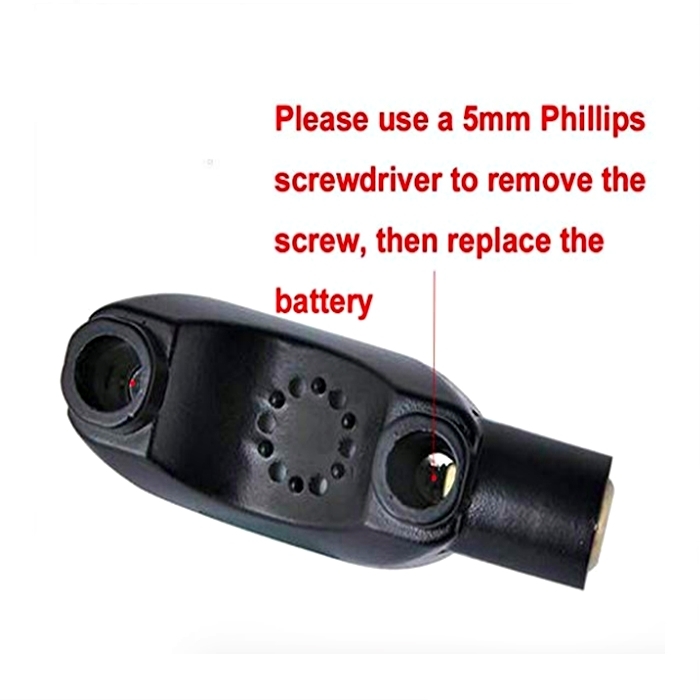 And it can be used on door, bicycle, motor, container, etc. 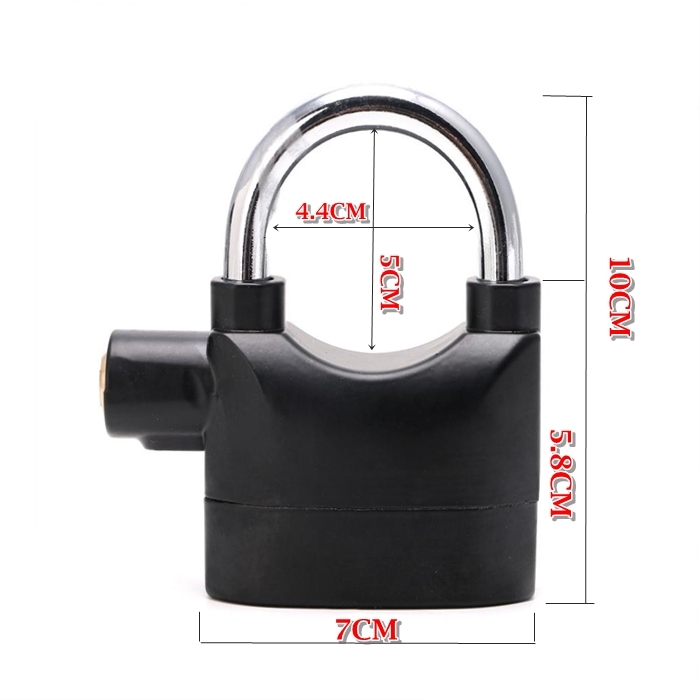 *Combines locking function with alarming function. 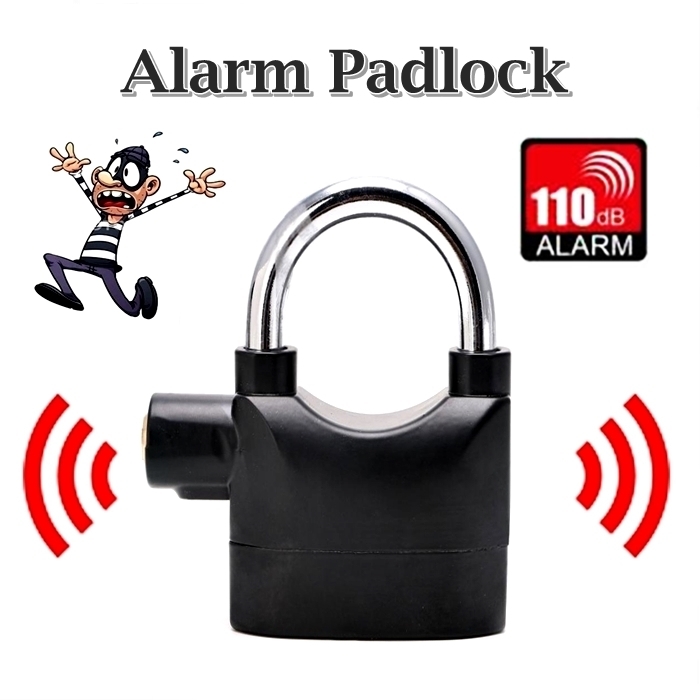 *Built-in movement triggered alarm, which can emit loud sound when the lock is hit or shaken. *Adopts MCU core procedures, high-tech integrated circuit and digital sensor chip. 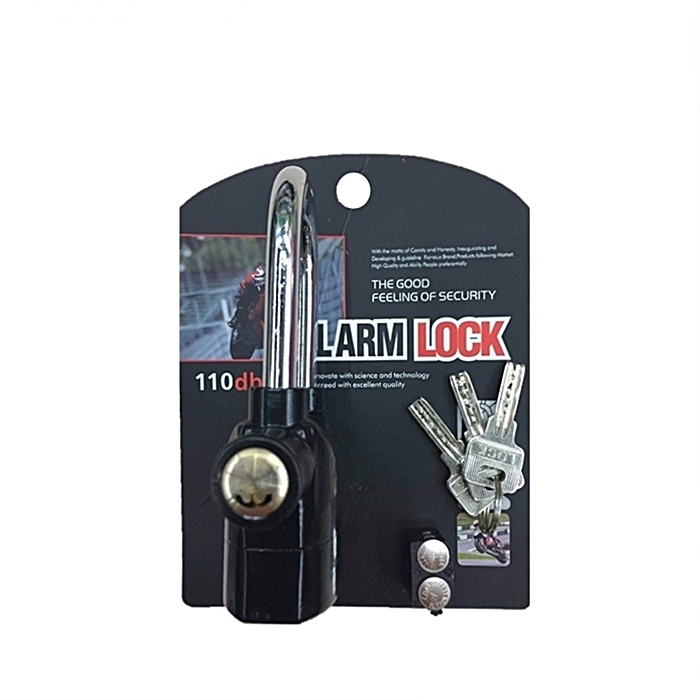 *Can be set to two states: mechanical lock and alarm. 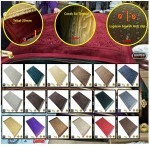 *Can be used on door, window, bicycle, container, motor bike, tricycle, pull gate, garden, etc. 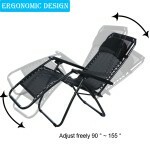 *Corrosion resistant, waterproof and durable to use. *Powered by six button batteries. *Supplied with three keys, convenient to use. 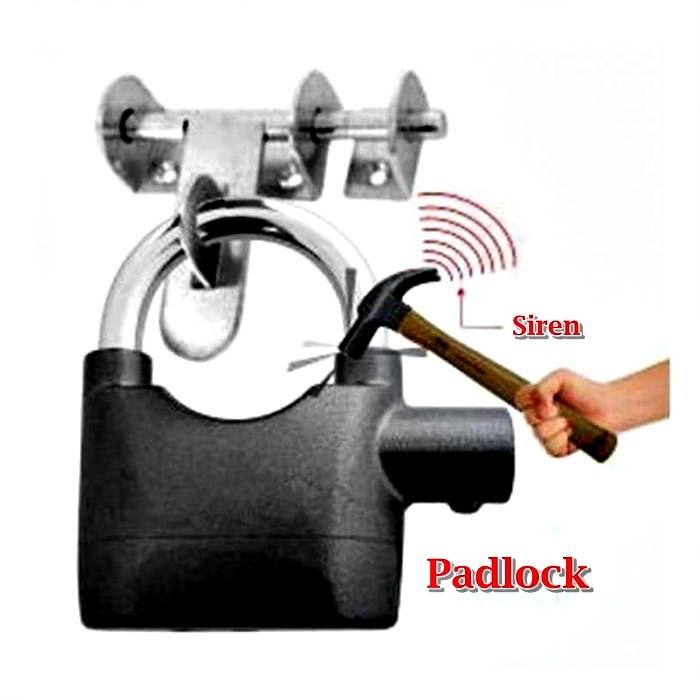 Note: When you place the shackle with groove into lock near key port, then the lock comes into alarming state. 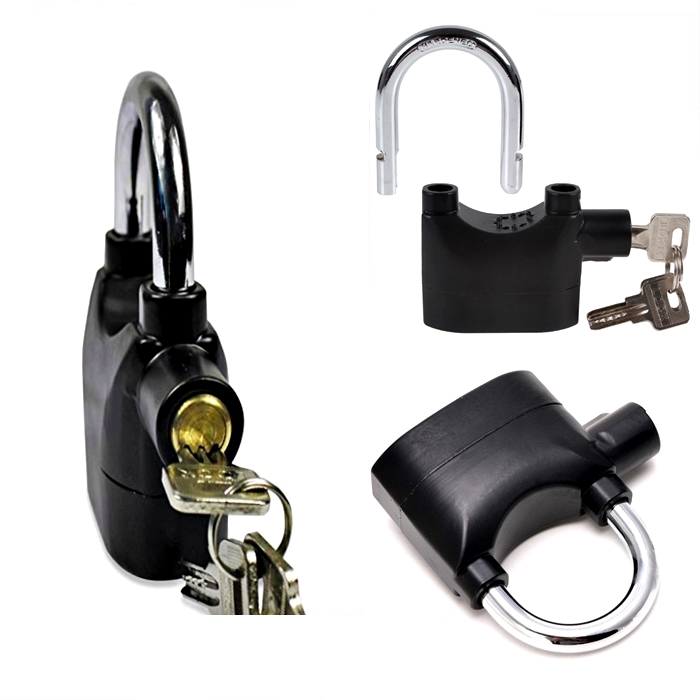 When the shackle with groove is placed away from key port, the lock is just in the mechanical lock state.